Need custom beats tailored for your written songs?? Got an Idea about how you want your custom beat to sound?? LET US BRING THAT SOUND TO LIFE!!!! Type of Beat style: Please send us a reference beat or beats so that we know what type of beat you want. Tell us what type of mood or feeling you want the beat to give the listener. 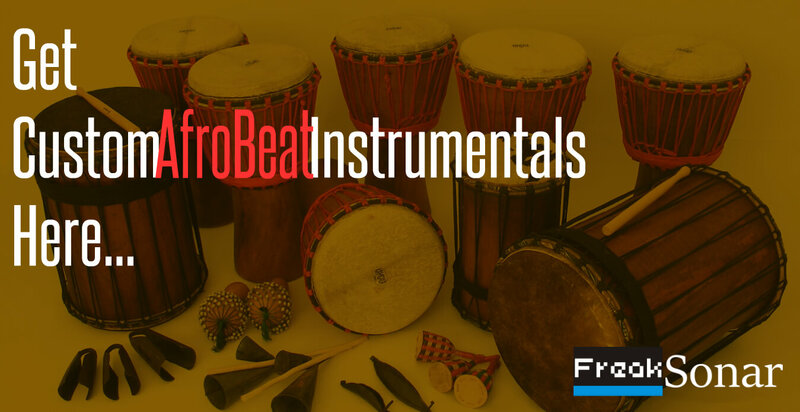 Tell us what type of style, ie afrobeat, highlife, trap, mid-tempo hip hop, shoki etc. Send us your recorded vocals: We will require an mp3 or wav file or simply a video recording you made on your phone (or any other device) of the melody of the hook or chorus and possibly a verse. This gives us an idea of the progression of your song and we will build your beat based on that. Structure of the beat: We need the structure so that we can fine-tune and create what you want. Example: 4bars intro, 8bars chorus, 16 bars verse, 4 bars outro, etc..
Instruments to use: Suggest to us what instruments you want; a piano, some strings, a violin, an electric guitar etc. If you’re not sure about this, that’s fine. We’ll choose what instruments best match the feel of what you need. Beats per Minute: The BPM is the speed or tempo of beat. You can always tell us to use a particular tempo of an existing track, and we will happily use that. Note : Our Custom Beats cost ₦60,000 each. We normally accept 50% part payment for the project to be kick started. So You balance when you are satisfied with the outcome. Or you can still pay in full if you choose to. The choice is yours. Uhm… just in case you aren’t pleased with the outcome of the beat(s) we will offer you a complete refund. No stories. Here Are Samples Of Our Custom Beats For Our Happy Clients. Love What You Heard? Purchase our Custom beats service. 1). Fill the form with the same email address and phone number that you are going to use in purchasing the custom beats service. 3). Record your vocals with your phone then upload using the ” Upload ” tab. We will contact you in less than 24hrs. 4). When we are done making your custom beat(s). We are gonna mail you a sample of the beat for approval. 5). If you are okay with it. We will then mail you an invoice to get payment from you. 6). As soon as we receive payment, we forward your custom beats / beat to you immediately.